One more year gone.....It's RITP time ... and its free! 60 years of Stevenage Day! Between 1996 and 2007 'Rock in the Park' was a much loved Stevenage event. Taking place in Fairlands Valley Park, it grew from a small concert with about 200 attendees to a yearly fun day for thousands of people enjoying a free family day out. Many local bands performed on the bandstand stage and many local people worked hard as volunteers to make the event happen. Sadly the day became a victim of its own success when it proved impossible for volunteers to continue to deliver such a popular event, within the physical constraints of the Fairlands location, to the public safety standards demanded today - and to keep it free too. But many people, including the Festival, have never given up on being able to bring back something like Rock in the Park to Stevenage. For the past four years Stevenage Borough Council has worked with local recording studio The Practice Roomz to introduce a music stage to another well-loved local event - Stevenage Day. Stevenage Festival has supported and helped to fund RITP each year with them to inject a bit more of the old Rock in the Park magic. Although the Festival only runs every two years we have supported Rock in the Park each year it has run as part of Stevenage Day. So, as ever, last year it was in a park, it was free and it had a great rock line-up. We brought together the best of our local music talent on two great sound stages, finishing with a great headliner to close the event with the Mark Sullivan Band. "So come along and spend a lazy June Sunday afternoon sitting on the grass with your friends and family with a cold drink in your hand, listening to Stevenage bands old and new. Bring a picnic, enjoy the stalls, kids rides and entertainment that Stevenage Day has to offer and have a great day out." For THIS year we are expecting the same. Great weather (DRY!) and great music on two stages. The Music will be very wide ranging in style from psychedelic Ska to Heavy-ish Metal. We'd like to get bigger and better in future years - more bands, more facilities, but we can only do this and keep it free if we all work together. If you loved Rock in the Park last year then please support us this year with this further step towards building it back to its past glory. If you think Stevenage needs events like this then tell your friends, tell your local Councillors, tell everyone! And, of course, come to as many Festival events in the Gordon Craig Theatre as you can - any money we make gets ploughed back into things like RITP and better events. Keep up with what's happening on our Facebook page: www.facebook.com/RITPStevenage and also have a look at our photo galleries for the Main and Acoustic stages. 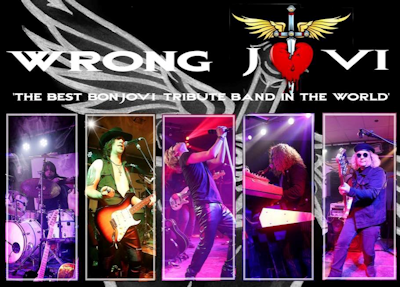 HEADLINER - we might not know all the details about the day yet BUT we do know the Headline Band - Wrong Jovi (click on the image below to visit their website) and they will be on stage from 5:45 pm till 7pm. Keep checking back on this page as we get more band details we WILL add them! If you want to view last years set of performers then look here. 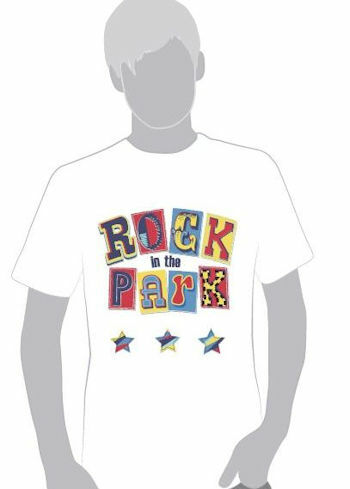 IF you've been on the RITP Facebook you may have seen the image for our Rock in the Park memorabilia T shirts - there are still some available - Here are the costs: £3 for one, £5 for a pair. IF you want one (or two) then get back in touch with us via email on info@stevenage-festival.co.uk stating sizes and we'll organise the sale and getting them to you. Or come along on the day and buy them at the Stevenage Festival stand. Of course these sort of events take lots of planning and organisation and special thanks go to .... Kriss Lawrence at The Practice Roomz and Geoff Caine at Stevenage Borough Council.